Bentolila, S, T Boeri and P Cahuc (2010), “Ending the Scourge of Dual Labour Markets in Europe”, VoxEU.org, 12 July. Cahuc, P, O Charlot, F Malherbet, H Benghalem, and E Limon (2016b) “Taxation of Temporary Jobs: Good Intentions With Bad Outcomes?”, CEPR Discussion Paper 11628. 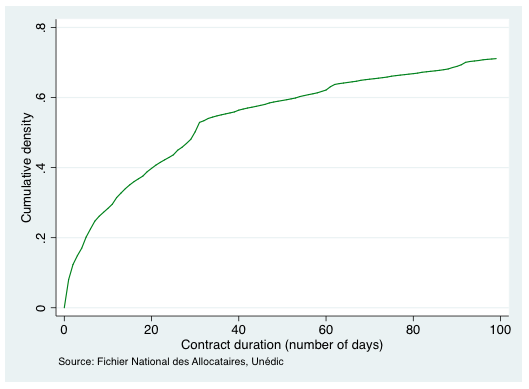 Dolado, J, E Lalé, and N Siassi (2015), “Moving towards a Single Labour Contract: Transition vs. Steady State”, CEPR Discussion Paper 11030.